WordPress developers are usually bad at negotiating an honest fee for their services. Donald Trump’s statement that he pays $3 for website development simply reinforces the assumption that building websites is dirt cheap. And another article of mine looks at how WordPress professionals are sabotaging their own businesses by offering $3 maintenance contracts. The good news is that you know tech, and that gives you an upper hand. 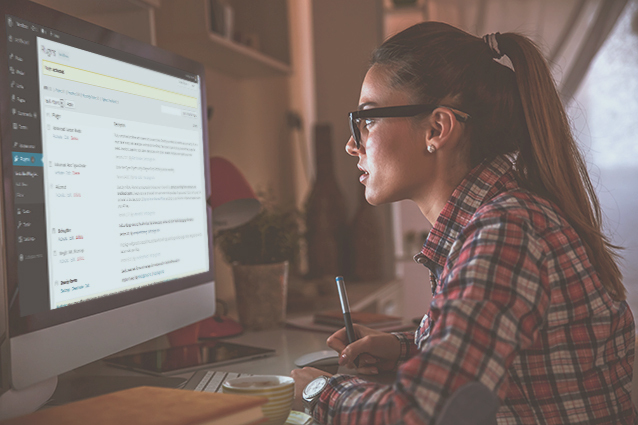 Your clients know that website management is a hassle. It takes expertise, and it takes time. That’s why they hire you. You’ve got the expertise, and with services like ManageWP you drastically cut down the time you spend on management. You don’t want them to know is that you’re cutting down that time with ManageWP – if they know you’re spending 2 hours per month instead of 6, they’d be less inclined to pay. What you don’t want them to know is that you’re cutting down the time it takes you to manage their websites with ManageWP – if they find out that you’re spending 2 hours per month instead of 6, they might be less inclined to pay. So you use ManageWP’s White label tool to impress your client and charge the rate you deserve. The White label tool lets you pick between two settings: rebrand or hide the ManageWP Worker plugin. Hiding a plugin is a pretty straightforward option: You don’t want your client to know that ManageWP exists, so you hide the plugin from the wp-admin dashboard. As far as your client is concerned, you get up each morning, log into their website and run a 300-page, we-are-about-to-launch-a-nuclear-missile check. 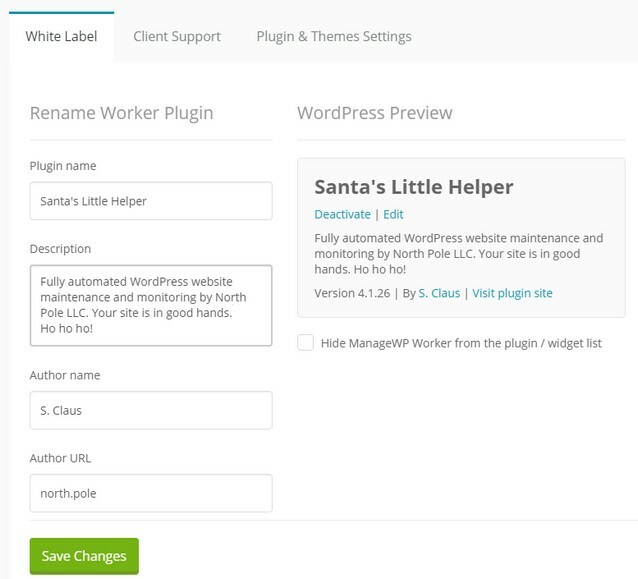 The more interesting option is to rebrand the ManageWP Worker plugin. Rename it after you or your company, write a description highlighting all the effort you’re putting into the service you’re providing to your clients. You can customize the plugin name, description, author name, and the author URL. If you know how to sell your services, rebranding will be an extra bargaining chip for fee negotiation. The ability to disable plugin and theme updates. It’s commonly known that the number one cause of broken monitors among WordPress professionals is when clients update plugins and themes on their own (citation needed). With this option, you’ll hide all the available plugin and theme updates from the site’s wp-admin dashboard. It also disables the code editor. You’ll be able to see and run updates from the ManageWP dashboard, as usual. Support form for non-administrator users. 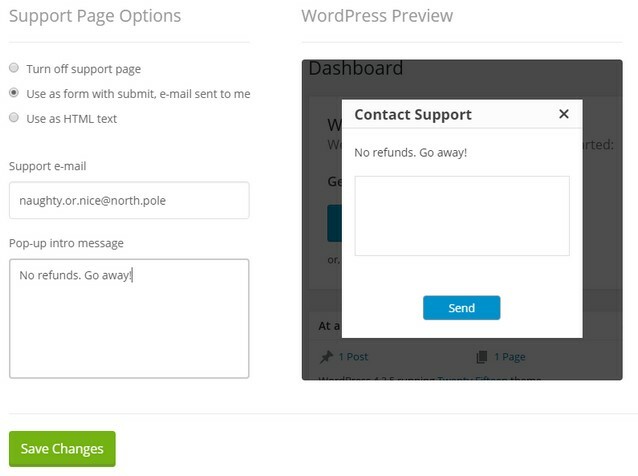 Any user on the website can now contact you directly through the Support tab in the wp-admin sidebar. This is great when you’re supporting a client with multiple team members. It’s easier for them to get in touch with you, and you’re able to solve issues quicker, much to their delight. To access the White label settings, hover over your account name in the top right, and click on White Label. The change is instantaneous. In the Classic version, you had to wait a few hours for the change to apply. Now you just change the information and sync the websites to apply the change. Several support form bugs have been fixed. 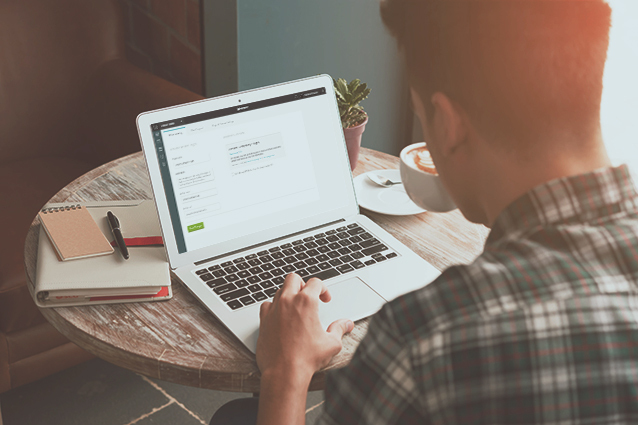 If you had trouble with the form in the past, try it now and let us know how it works. White label on a per-site basis. Hide the Worker plugin on some sites, rebrand it on others – the choice is yours. We have everything ready for this feature, we’re just waiting for the Classic to be shut down – for technical concerns we’re keeping the per-account basis until then. Admin message on the wp-admin dashboards. Push a notification to all websites, and your clients will see it when they log in. We don’t have a set release date for this feature, but it should be some time after the Classic gets phased out. We are at the 5th milestone on the Orion roadmap. 6 more to go until the Classic version gets fully phased out by Orion. If you have any suggestions how we could improve the White label tool, let us know in the comments below! Hey Nemanja – by looking at the roadmap, it seems like Orion has completed 10 of the 11 key steps. Does this mean we can expect the Classic phase-out within 1-2 months? We are ready to switch fully to Orion but want to wait for this. Yes, we’re looking at phasing out the Classic version in 45-60 days. No point in rushing in, you’ve got the Orion running in mirror mode for that exact purpose: so you could test everything and get used to it without having to commit fully. There’s still a lot of small things we need to do, like onboarding, documentation, support, etc. If needed, we’ll push back the deadline to make sure our users have everything they need to switch to Orion. I’ve been playing around with Orion, and so far I love it. I think the tools it offers already far surpass regular ManageWP. I especially love this feature. I have a question though, will white labeling be offered as an add-on option for those who have the professional plan? The White Label tool (and all the other Orion tools) will be offered separately, so you could pick and choose only the tools that you actually need. More on Orion pricing model next week! I love the white label but would love to see white label uptime email alerts for clients. As of now it is branded ManageWP. Is this something on the road map for the future? I agree that it would be a great feature. It’s already on the drawing board, so it’s just a matter of “when”, not “if”. Is this still just available to Business Plan customers, or can Professional Plan customers also benefit from this feature? Standard, Professional and Business can use it for free from the Orion dashboard, as long as Orion is running in mirror mode. Once the Classic dashboard gets phased out (and the mirror mode is no longer needed) we will introduce a new pricing model that will let you pick White Label without paying for everything else that comes with the Business plan. We will soon talk more on our blog about the new pricing model. You need to upgrade your account to business plan in order to use white labeling. Visit your billing settings to update your subscription. Refresh this page after you’re done. We’ll remove the Business upgrade requirement in the next few hours, and you’ll be able to turn on the White Label tool. Hi – did this happen yet? I’m still getting the upgrade message. Getting the “Account upgrade required” page too. On Pro plan. We’re about to release the Uptime Monitor into Orion, and this change will be pushed live with it. Sorry for keeping you waiting! As regard to being bad at negotiating honest fees, I was definitely one of them until a talk I had with Nemanja (you helped me a lot, btw. Thank you!). The worker plugin branding hasn’t been an issue for me so far, but as soon as I read this, I changed the white label settings. I think this also brings prestige to the service we offer to our clients, as they will feel more confident if they have branding consistency from our service. Would rather have plugin deactivation set up per site, though. Not every client is the same, and we may need to give a little more control over such things to some of them. I’ve got some good news for you: the Disable Updates option will also be on a per-site basis. More precisely, everything on the White Label page will be on a per-site basis. The only reason this is not yet implemented is because of the Classic/Orion mirror setup. It’s safer to enable per-site setup once the Classic dashboard has been phased out. Actually stumbled upon the white labeling. Really like it. Looking at the Orion roadmap and can’t wait for future updates. The client reports are useless to me unless it’s automated (too much additional work); I noticed a scheduled reporting tool in the roadmap. I agree, keeping everything automated is a huge time saver, and the cornerstone of the ManageWP philosophy. Your first paragraph could use a serious rewrite. If English isn’t your first language (and clearly it’s not) you should avoid attempts at sarcasm. Unfortunately, I wasn’t trying to be sarcastic. The truth is that there’s a lot of WordPress professionals who grossly undervalue their service. It’s one of the subjects that inevitably comes up on every WordCamp I’ve visited (talking about the attendees, not the speakers, ofc), and in a lot of talks with other people in the WordPress community. Yes, building a website these days is easy and practically free. Building and maintaining a quality website is a completely different matter, and it really hurts us as a community when influencers like Trump leave an impression that corporate websites should cost $3. I’ll edit the paragraph to make the message clear. Thanks for the suggestion, David. Not giving up on sarcasm in the future, tho! Looks like me BEST Christmas Present was delivered TODAY – The entire Team at MWP has been truly awesome to work with through the Beta testing and now the feature I really need to push my business to the next level has been delivered. We’ve got a lot more in store for 2016, stay tuned! oh, it would be a nice feature to be able to edit one’s post. Sorry, about the typo’s. Thanks for the suggestion! We’ll be redesigning our website in the next couple of months, I’ll make sure that the comment system gets this upgrade. I’m not a professional blogger or website marketer, yet i like the feature of branding myself via white labeling. With 12+ years of direct corporate sales, and no loss of critical wp dashboard control, this feature will come in handy. Looks good! Thanks for the update. Is it possible to disable plugin and theme updates for site administrators? The plugin and theme updates are disabled for all users on the website, including admins – you can only see them (and perform updates) from your ManageWP dashboard. This is awesome, great stuff! It would be great to have a bit more control over all the fields of the support menu item, like the name of the menu item, the modal box title and the message that comes up on confirmation. Minor details though, this really is an incredible feature. Keep it up ManageWP! I like your idea (especially the confirmation part), but from a User Experience perspective we need to be very careful not to overwhelm our users with options. We’ll go over it on the next meeting and see if we can find the right balance between ease of use and functionality.